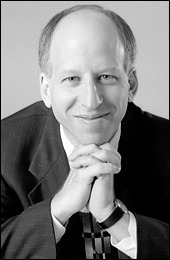 Steven M. Denenberg, M.D. is the author of FacialSurgery.com. Dr. Denenberg has been practicing facial plastic surgery in Omaha, Nebraska, for thirty-one years. He attended Harvard University as an undergraduate in the department of Engineering and Applied Physics. His residency training was at Stanford University, where he served as Chief Resident in his final year. After residency, Dr. Denenberg completed a Fellowship under the auspices of the American Academy of Facial Plastic and Reconstructive Surgery. He is certified by both the American Board of Facial Plastic and Reconstructive Surgery and the American Board of Otolaryngology. Dr. Denenberg has been selected as one of America's Top Doctors by Castle Connolly Medical Ltd. every year since 2001. In the selection process, more than 250,000 physician specialists are asked to choose the best doctors in their fields. Among the questions they were asked: "To whom would you refer your own patients?" More on the selection process for America's Top Doctors is available here. Dr. Denenberg's page on Castle Connolly's Web site is here. Dr. Denenberg has served on the national board of directors of the American Academy of Facial Plastic and Reconstructive Surgery, the largest academic society of specialty plastic surgeons in the world. Previously, he served for three years as the Chairman of the Publications Committee of that organization. Dr. Denenberg is Clinical Assistant Professor of Otolaryngology and Maxillofacial Surgery at the University of Nebraska Medical Center, where he lectures to the residents and faculty on facial plastic surgery. FacialSurgery.com first appeared on the Web in 1996. Since then, thousands of visitors from countries all over the world have written to compliment the site on the volume and honesty of its information and the quality of its presentation. "FacialSurgery.com is ... the most comprehensive plastic surgery-themed Web site around." "...a comprehensive Web site complete with information on various operations, advice on how to find a competent surgeon, and before and after photos." "The befores and afters of assorted eyelid lifts, skin peels and rhinoplasties are revealed [on this] lavishly illustrated Web site." "The best part of the Web site is its portfolio of hundreds of before and after pictures." Office accreditation by the Accreditation Association for Ambulatory Health Care, Inc.
(Note on the above list of affiliations: Just about any plastic surgeon will be able to come up with an impressive-sounding resume. If you are seeking plastic surgery for yourself, you should be less interested in the lists of organizations, and more interested in the actual quality of your surgeon's work. Looking at your plastic surgeon's resume does not count as having "checked him out." In addition, you must see the photographs of his patients.) More on finding and evaluating a plastic surgeon. How to arrange a trip to Omaha for your facial surgery.